A recent survey by The Brookings Institution and the Public Religion Research Institute, “What It Means to be an American: Attitudes in an Increasingly Diverse America Ten Years after 9/11”, sheds light on how Americans think about some cultural hot topics: Islam, immigration and discrimination. It’s this last one that caught my attention, particularly the opinions by different groups about reverse discrimination. 29% of blacks and 30% of Hispanics believe that reverse discrimination is now as big a problem as discrimination against minorities. 51% of whites believe this to be true along with 63% who sympathize with the Tea Party and 68% who most trust Fox News. When asked about problems facing the country, whites were equally likely (17%) to agree that discrimination and reverse discrimination were critical issues. What do you make of these percentages? How we come to these non-reality based perspectives is, not surprisingly, connected to our own race. More interesting is how important the news we consume is in how we understand the experience of our fellow citizens. While our media does not force us to think certain ways they are, apparently, good indicators of how seriously those of us who are white take the life experiences of our non-white neighbors. Trusting Fox News, in other words, says something about not trusting the experiences of black and Hispanic people who report that discrimination against minorities is a critical issue to them. The survey also points out something that should be obvious: White people with regular contact with their non-white neighbors are more likely grant them more respect than are those with little or no contact. Additionally, the younger and more educated they are, the more likely these white people are to “have regular conversations” with blacks and Hispanics. What might happen if those who believe reverse discrimination to be as critical as that experienced by minorities were to turn off Fox News and begin talking with their black and Hispanic neighbors? 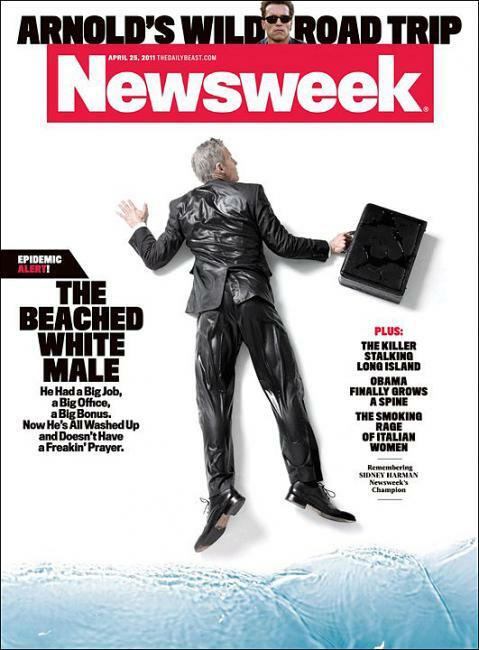 Would the flimsy “Beached White Male” narrative stand up to the real world experience of those who have known very real and very painful discrimination? Would claims of victimhood crumble in the presence of resiliency born of painful struggle? A conviction that the Gospel provides a strong alternative to the divisive realities found in this survey is a driving force for those of us involved in multi-ethnic churches. Surely the reconciling Christ has provided all we need to bring us from isolation and discrimination into genuine, diverse relationships. Such relationships are an antidote to the fearful narratives peddled by cable news. The fact that younger Americans are more likely to interact cross-culturally is, for me, evidence of a more hopeful future; one in which those of us in the majority culture take seriously the experiences of all our country’s citizens. In the meantime, however, it appears that we have plenty of partisan division and cultural stereotyping ahead of us. The upcoming election season will provide plenty of this evidence. As always, I welcome your charitable comments. What am I missing? How do you interpret this survey? Next Post Meals With Friends: Your Home or a Restaraunt? I don’t know how to interpret the survey, but I do have a thought. I agree with those respondents who said they believe that white people (males in particular) are being discriminated against. To illustrate, consider when the last time was that you recall getting on a CTA bus that was driven by a young (under 50), white male. I recall one instance in my own experience–and I recall being struck by the oddity of it. Everyone to whom I mentioned the anecdote agreed that it was odd. Now, being unable to find a job as a bus driver due to (the potential of) reverse discrimination is, at most, an inconvenience. Indeed, most young white males probably don’t go for those jobs because there are slews of other opportunities available to them. The point I’m trying to get at is this: Reverse discrimination may very well exist. But that does NOT mean that white men are (necessarily) worse off because of it. They–myself included–have a great many opportunities, and the handful that they are excluded from because of reverse discrimination are barely worth mentioning. Does it exist? Probably. Is it anything even remotely similar to the discrimination that others have faced? Not even close. Should the two be compared? Absolutely not. If I had been asked, “Do you believe that white men are discriminated against?” I would have answered “yes.” Without further follow-up, the significance of that finding is unknowable, and probably gives much different perspective. I think I’m tracking with you Josh. What remains astonishing to me is the perception that reverse discrimination is as much an issues as discrimination experienced by blacks and Hispanics. While I’m sure individuals can be prejudiced against myriad subgroups, white men included, I squirm against terms like “reverse racism” and “reverse discrimination” as endemic to any institution. Systemic discrimination is about power exerted over the powerless, and whites as a whole are anything but. I love your thoughts on how Christ breaks down these dividing walls, and we look forward to a future of increased knowledge and love of others, rooted in the shared humanity He so perfectly lived. Hope you don’t mind me chiming in – I linked from Facebook. You have a great blog! Thanks Stacey. This sentence strikes me as spot on: Systemic discrimination is about power exerted over the powerless, and whites as a whole are anything but. maybe if reverse discrimination really did exist, we’d see more white bus drivers. 🙂 i can’t help but sigh. it’s like i’m oppressed because my starbucks barista put whole instead of skim in my latte. don’t get me wrong, that is upsetting and i’d like lower fat dairy, but really? well, i’m just so thankful for your perspective and the point of hope you bring in the end. you are a prime example of our future’s hope! You’re very kind Leslie. For the record, I’ve learned more than a little from the thoughts/perspectives/experiences you’ve blogged about over the years. I think reverse discrimination exists, but it’s not worth making any sort of deal about, because for young white males, the world is pretty forgiving in a lot of ways. It *is* on par with complaining about the wrong milk in the $4 latte that you are privileged enough to be able to afford. And honestly, I’m not even so sure that reverse discrimination is a bad thing (at least at this point in time). I’m in the middle of reading “Why are all the Black Kids Sitting Together in the Cafeteria?” by Beverly Tatum, which talks about ethnic identity development and racism. The author defines “racism” as “a system of advantage based on race.” From this definition, she draws the conclusion that while everyone can experience racial bigotry, white people cannot experience racism. While i’m not sold on this definition for every-day purposes (it’s just too far off from the term’s colloquial usage, where racism has come to mean anything done to anyone on the basis of race), I do think it’s helpful for discussions like these. The definition draws a distinction between individual acts of discrimination, and a system which advantages and disadvantages whole groups of people. Individual acts of discrimination might look like this: an educated 20-something white male is denied a job that instead goes to a less qualified, 20-something educated black female, in the name of diversity (maybe not a bad thing :-p). Individual acts of racial (and gender) bigotry might be things like the times that I, as a white woman, have experienced sexual harassment on public transportation at the hands of one or more black men. But these experiences in no way mean that I am functioning in a system that disadvantages me based on my race. It means I’ve experienced bigotry (and sexism, which Tatum defines similarly – a system of advantage based on gender). Those are really helpful definitions Lauren. It’s productive to make the distinction between individual acts and entire systems of privilege & discrimination. Polls and statistics are interesting but isn’t it possible to use them to make questionable correlations? According to a Nielsen study: Blacks watch more TV then any other group. In 2010 African Americans watched 7 hours and 12 minutes of TV. The U.S. average is 5 hours and 11 minutes. Asians watch 3 hours and 14 minutes. So I guess if African Americans would watched less T.V. then many of the inequalities they face would disappear. Or could it be the inequalities are part of the very reason they end up watching T.V. ? For instance it is cheaper to stay home and watch T.V. then go out to dinner and the movies if there was even a dinner place and movie theater to go out to in the immediate neighborhood. If the job prospects are much lower for African Americans the they are less likely to be able to afford to go out. I would think that we should be careful in making generalisations about people based not only on thier race but also say on thier T.V. watching habits. My wife was a sociology major so I’ve learned to share your wariness about statistics and the different ways they can be interpreted. I’m curious, how would you read the statistics in this report? I actually find the idea that about 3 out of 10 black and Hispanics people find reverse discrimination as big a deal as discrimination more surprising then 7 out of 10 Fox viewers. Somehow I doubt Fox has a real large audience of black and Hispanics so what are they watching that impacts thier perceptions? Is it possible it is there actual life experiences? Maybe for some minorities it isn’t that reverse discrimination is a big deal but discrimination in general isn’t that big of a deal. I suppose it is possible that the poll is picking up the idea that people in general whether they are minorities or not see discrimination as a smaller hurdle then in the past. If those impacted most by discrimination do in fact see it as a smaller problem wouldn’t that be a good thing? As far as Fox viewers go I would think they would poll higher in this area given they are a small subset of the population that likely doesn’t include many minorities. What if they polled golfers and found similar results? Would we suggest that people stop golfing and spend more time associating with others from a different culture? That too would probably be a good thing. I’m not trying to discount the idea of discrimination and the rel struggles that others face. I have an African American brother in law that has clued me into the subtle ways of discrimination that I never really thought about. Just trying to add a few thoughts to the conversation hopefully in a charitable way. Thanks Dan. Though you and I probably come at these things from different angles, I appreciate your perspective (and push back). I’m on the same kind of thought path as Dan… while discrimination against ethnic minorities is certainly present, reverse discrimination is no silver stag to be laughed off as an ethereal phantom. Some of the major instances of reverse discrimination have occurred in the education system, where the supreme court had to be called as arbiter; the findings suggested that Hispanic Americans and African Americans needed test scores significantly lower than Whites or Asians in order to gain admittance to the elite universities of America. Why punish a rich young white male who tests well? Has he in some way earned the punishment? In my view, this kind of discrimination is just as harmful as keeping a Hispanic family from renting your apartment based on their race. It’s like arguing whether a small or large dose of cyanide is worse for an elderly person suffering from cancer. The cyanide (racism) is merely another dagger in the back (sorry for all the similes and metaphors), whereas the cancer is selfishness. The racism might be instantly fatal, but the selfishness is killing society just as surely, and is the larger issue at play. The lack of charity is probably even the cause of all the racism and discrimination, regardless of which direction it goes. Pointing the finger at the white community for being unfeeling or uncultured is, in my opinion, missing the mark. It’s the act of pointing the finger, period, that is the problem we need to correct.